The Co-op welcomes success stories that will help other homeschooling parents decide whether to add BrainPOP to their home school curriculum. If you have used BrainPOP and would like to contribute a testimonial, please click here. ”Over all, BrainPop and BrainPop Jr have been helpful. I like that my kids are able to do quick lessons with little teacher/parent involvement. I use it, in our home schooling, to reinforce or introduce things we are working on. I do wish we could track the testing and which lessons have been completed. I also wish there were History in other parts of the world like India, Arabia, Pakistan, or Australia for example. My son, 2nd grade-BrainPop Jr - said, I'd like there to be more Social Studies lessons, there are only four. ”We loooove brainpop ! My daughter has never been so excited about learning. She chooses what interests her and her journey into that subject begins with brainpop. She, and I, love that she can learn about so many diverse subjects that we would not have even thought about without brainpop. ”We've had Brainpop for a few years, it is the top app I recommend to homeschool parents or parents wanting to enrich their children's education. I've used Brainpop jr, Brainpop espa ol, and Brainpop. All are simply fantastic. My kids are learning all sorts of stuff, and they enjoy it! 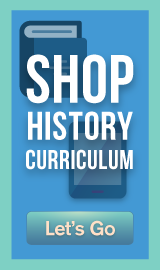 ”BrainPOP is a great resource for me as a homeschooler; I love that there is such a WIDE variety of topics available for kids to learn about--science, technology, history, anthropology, famous people and events, etc, etc. This is our second year of BP, and I think it's money well spent. I have used it to introduce a new topic, and to reinforce and/or expand upon readings. It's kind of a modern-day encyclopedia...I have seen him just browse through looking for something that catches his interest (just like I used to do w/ the paper version as a kid), and then watch all the videos related to that subject. And then look for other sources of information to learn more about the topic. ”We cannot say enough about both BrainPop and BPJr. Both offer a multitude of topics and then related topics to further learning and make connections. Each topic is presented in a very informative yet entertaining way in a susinct format. ”My 11 year old daughter and I both love the BrainPop videos and quizzes. I especially like the movie of the day feature. Watching it is part of our morning routine. ”This is our 3rd yearly subscription to both BrainPop and BrainPopJr and has been used for ages spanning 4 through to 14 years of age. The content is engaging, educationally sound and covers a vast array of subjects and topics. My children's general knowledge has improved markedly through the use of these sites and they always beg for more. The sites may be used to kick start a new study area, enhance research or just purely for the fun of learning something new. ”This is my first year homeschooling. My children are 9,7 & 5. At public school they used to use brain pop in there lesson plans and they loved it. So when I saw it available at the Homeschool Buyers Co-op I had to have it and here is why. Before my children would fight over the iPad for minecraft time but now they cuddle up and can sit for hours if I let the watching lessons on Brain Pop and it's not even school time. When we are working we find it very easy to find information about any topic we are working on from language arts to history and more. They can go over in great detail about any topic you can imagine in 3-4 minutes with pictures, conversations and information that is easy for all grade levels to understand. When they are taking notes, they can pause and watch it again. Then each child can take a pop quiz and it keeps track of there comprehension they just watched. 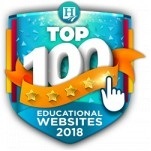 They have an educators section that you must visit. It has vocabulary sheets, diagram sheets and other printouts that were very helpful to our lapbook project that I made up based on a subject we were covering about flight. 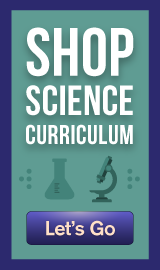 It is filled with lesson plans and games that simulate science experiments to reinforce what they learn. We have incorporated it into our morning circle time, by either watching the feature video of the week or another video that goes with our weekly studies. (We don't subscribe to BrainPop emails, but we do watch the daily feature video, occasionally, as well). Each video has a choice of Easy or Hard quiz (we usually do both). The videos do a great job of explaining things in an educational and entertaining way. All 3 of my kids love them (ages 2.5, 4 and 7). ”Brain Pop is a great addition for homeschools. ”Our family absolutely loves BrainPOPJr. Even though the lesson videos are short, they are jam-packed with not only the basic information but also little known extra details - there's a lot of learning packed into each entertaining "movie". We like that there are two different quiz levels, I use the "easy" quizzes for my younger learners and the "hard" ones for my oldest - meaning we can all be using the same lesson at the same time (hooray!). The games/activities and supporting content all reinforce the video lesson and make learning FUN for the kids - they actually beg to do BrainPOP. While it's not an entire curriculum, it does align with state standards and can be expanded on with additional study. The high energy presentation and shorter duration of educational movies are perfect for my ADD and younger learners alike - and I really enjoy watching along with them too. ”We like BrainPop because we rely on living books for much of science and history. BrainPop is helpful when we are between books or just want to look at similar subjects. It has activities and worksheets for most topics. I like how Tim and Moby treat heavy topics simply and with a light hand. My forth grader loves it. ”BrainPop has been a wonderful addition to our lessons. My son looks forward to watching the short videos, and it has been fun to see what he has learned from them. I love that BrainPop is constantly changing their content to reflect the season and monthly events. In addition, I like how diverse the content is, from health and history to science and language arts. I also appreciate the social videos that touch on the issue of bullying.